Setting the featured image changed just a bit with the upgrade to 3.5 and later. 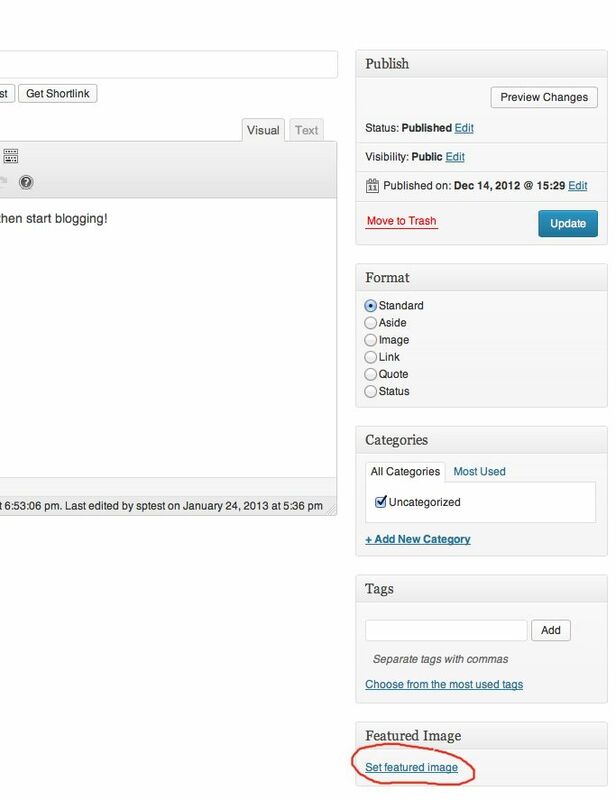 I’ve gotten several questions about how to set the featured image in WordPress 3.5 so I’m sharing for all in 3 Easy Steps. Edit your post and on the bottom right there should be a link to “Set Featured Image”. (see below). Usually, the featured image you want to use will already have been uploaded to the page. So select “Uploaded to this Post”. If no images are uploaded yet, you can use the next screen to upload as well. Once You have found your image or uploaded it. 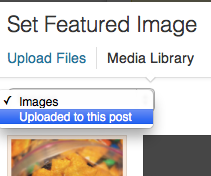 Select it with a click and then click “Set Featured Image”. (see below). Don’t forget to click update when you are back on the edit post page to save your changes. In the salad days of my youth we didn’t have HDTV, iPhones or iPads. Video games weren’t considered military simulators. And social media was an honest-to-goodness handshake. If this is sounding like your grandfather’s rant about having to walk to school, uphill, both ways, in a snowstorm, barefoot, that’s not my intent. On the contrary, having just passed GO on my mid-thirties, I’m fortunate to have been on ground level with joystick in hand from the beginning of Atari, Nintendo, Sega, Playstation and Xbox. Back in the day I taught Bowser a thing or two about how to treat a princess. Up, up, down, down, left, right, left, right, B, A, select, start, isn’t nonsense to me, it’s nostalgia. These days I’m constantly connected. As the director of a Web development team, the majority of my work is performed online. In the car I’m streaming Pandora through my iPhone. I have as many social media accounts as I do fingers. I can’t remember the last time I’ve watched television without my iPad in hand. And the vast majority of my precious “free” time is spent working on my Web site, northeasthikes.com. If this is sounding all-too familiar, perhaps you’re also wondering what the long-term effect all this technology will have on our health? The abhorrent amount of time I spend sitting and staring at a computer, tablet, phone or television screen certainly can’t be a recipe for longevity. Oh, sure, there have been studies, and studies of the studies. Google “health effects of technology” and it returns over 88 million results. But here’s the thing: as the first wave of generation tech, how can anyone know what the long-term effects on our aging process will be until we—well, age? As an avid hiker, I’m a believer. The exhilaration of peering out from a mountaintop—legs burning, lungs clamoring for air, goosebumps raised—has a palpable knack for dissolving the stresses of everyday life, providing clarity of thought, and returning perspective. As good as HDTVs are getting, 1080p is no match for the restorative powers of real-D nature. What I don’t understand is why more people don’t take a timeout to get outside? We know to reboot our devices when something isn’t working properly or the apps are sapping battery life—why don’t we do the same for ourselves? When I’m old and gray, I’m betting I won’t be wishing I could have one last crack at Bowser. More likely I’ll be pining for another trek across Katahdin’s Knife Edge, or to watch the sun set on the White Mountain’s Presidential Range. These thoughts are what drive the development of Northeast Hikes. 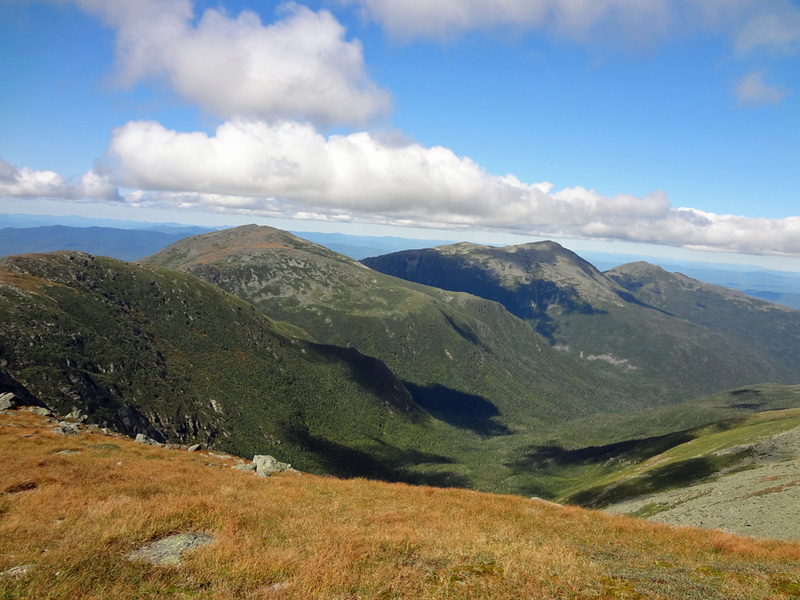 With the goal of promoting a sport that can be enjoyed by people of all ages and abilities, we provide trail reviews for hikes across Maine and New Hampshire, as well as adventures along the Appalachian Trail. 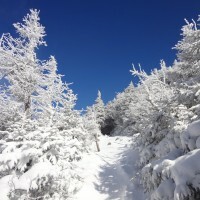 Please come check Northeast Hikes out, and consider taking a tech timeout this weekend. Who knows? It could save your life. The northern Presidential Range in New Hampshire’s White Mountains as viewed from Mt. Washington. From left to right are Mt. Clay, Mt. Jefferson, Mt. Adams and Mt. Madison. 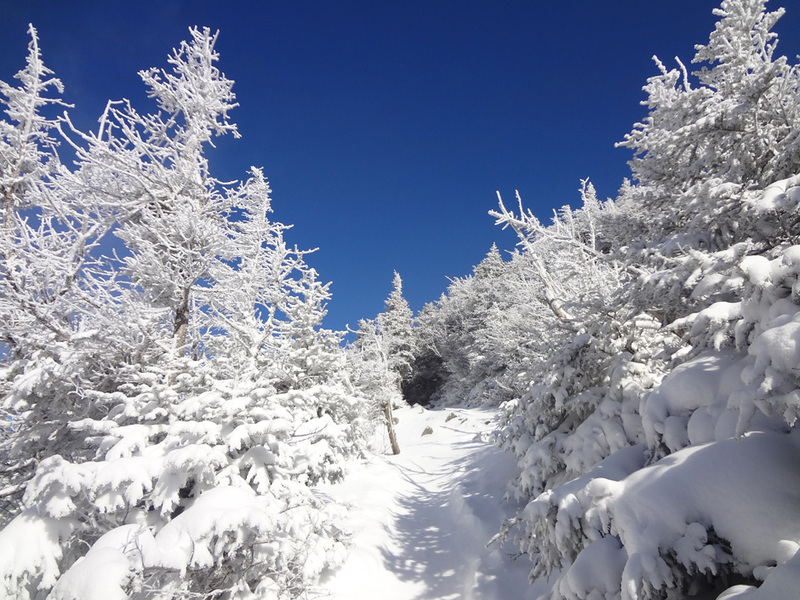 Winter hiking is twice as nice. This photo was taking on Mt. Lafayette’s Old Bridle Path. 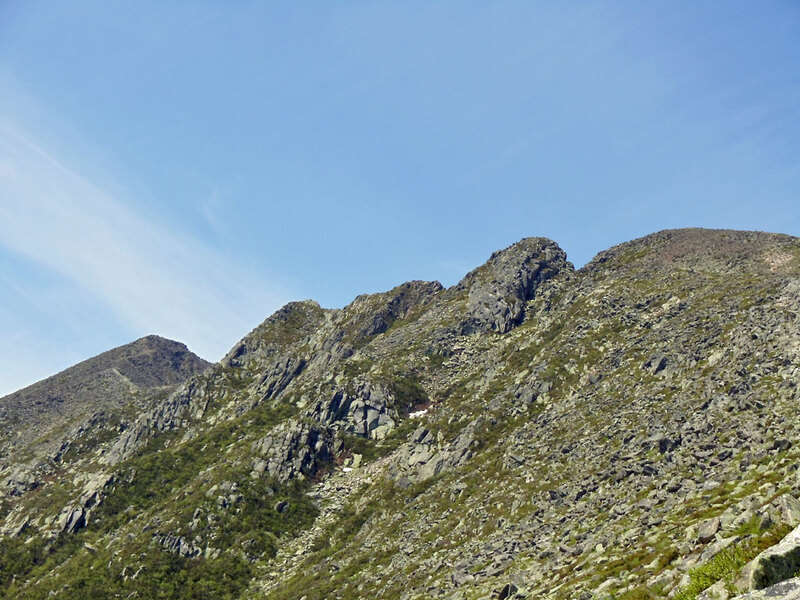 No hiking bucket list in the Northeast is complete without a trek across the Knife Edge on Katahdin. I am going to take a quick break from WordPress related topics to discuss a new challenge I have set for myself in hopes of proving that it would be possible for my employer to ditch Microsoft Office in favor of an OpenOffice alternative. 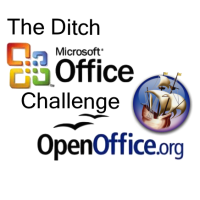 It’s easy to say that OpenOffice can replace Microsoft Office, but it’s quite another thing to prove it and be able to back up your claims. So for those of you who have thought about it, but don’t have the time to do a full suite of testing yourself, I hope you might find this useful. Stop using the following Microsoft office products: Microsoft Word, Excel, and PowerPoint. Any suitable alternative(s) to Microsoft Office must be cross-platform compatible (i.e. Mac and Windows). Share and collaborate transparently with other people who may be using Microsoft Office products. Alternative(s) must be free or significantly less than a license of Microsoft office. Alternative(s) must be stable enough and user-friendly enough for end-user adoption. I started my challenge on February 2nd after doing an analysis that would cost between $10,000 and $15,000 per year for upgrades and new licenses of Microsoft Office 2010. Let’s face it, times are tough and that’s not an insignificant amount of money. I’m a big believer in dogfooding, so I figured before I can recommend ditching Microsoft Office I would need to try it out myself for a while. So the 1st thing I did was go to OpenOffice.org and download the latest version for Mac. It started out very promising. Files opened without incident and it looked pretty sharp. I was even able to quickly set my computer to open files associated with Microsoft Office with the new OpenOffice. But things took a significant turn for the worse once I had to start working on files that I share with other people using Microsoft Office. In fact, the OpenOffice version of Excel, Calc, crashed between 15 to 20 times working on just one file that I received from our finance department. Not only did it crash repeatedly, but OpenOffice has this rather annoying file recovery Wizard that pops up every time it crashes. In principle, this seems like a good idea, but of those 15 to 20 crashes the wizard only recovered the file once or twice without crashing again; and only one of those recoveries that succeeded actually had the correct version of the file (without any lost work). Keep in mind, I wasn’t doing anything particularly challenging with the given spreadsheet. At one point it crashed 4 times in a row while I tried to change the highlight color of a few cells. I gave up. To be honest, I thought my challenge was going to be over before it even started, but on the advice of a few friends I did some additional searching for some better Mac alternatives. I was able to find two other options, LibreOffice and NeoOffice. I eventually settled on NeoOffice for the simple fact that it appeared to be the most Mac specific port of OpenOffice. 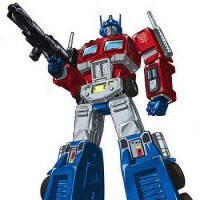 The newest version even incorporates many of the new the features of Mac OS X Lion, including full-screen, versions, and resume. To my knowledge, the latest version of Microsoft Office does not even support those things. The latest version of NeoOffice requires a donation for the download. I figured that as long as my testing went well I would be more than happy to spend $10 for the download, but for the time being I decided to stick with the free version, 3.2.1. So far, after about a week of testing, I am blown away by the quality of NeoOffice. I was able to work on the finance spreadsheet with ease and send it back to the Microsoft Excel user who was none the wiser. I was even able to share a word document that needed comments with “track changes”. While I was unable to find the track changes menu or option, it automatically began tracking changes without any intervention on my part, which I considered to be fantastic! So far, my only gripe with any version of OpenOffice is that they don’t seem to support .xlsx, docx, or .pptx saving. In other words, it’s no problem to open those file types, but they can only be saved back into the older Microsoft Office formats. While not a major issue for me, it could be a problem in certain environments. I would love to hear from other people who have tried the same thing or are currently struggling with the same problem. If you have any tips or tricks, please share them in the comments. I will report back in the coming weeks with my additional findings. I’m also hoping to do some testing on the Windows side, but I’m not as concerned with the stability of OpenOffice on Windows as I am with the Mac. 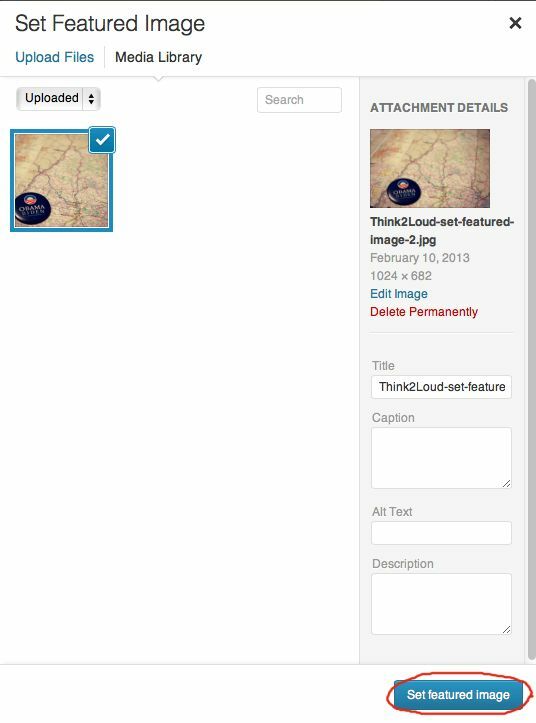 It just so happens that here at Think2Loud we love WordPress. We’re hoping that some of you do too and we want to share some of the exciting things we’ve learned or used that WordPress users (both novice and advanced) will find useful and informative. But we’re sure we don’t have all the answers, so if you think we’ve missed something please let us know in the comments. We’ll do our best to respond quickly! The ability to set a global layout was one of the first things that really sold us on using the ThemeBrewer themes. 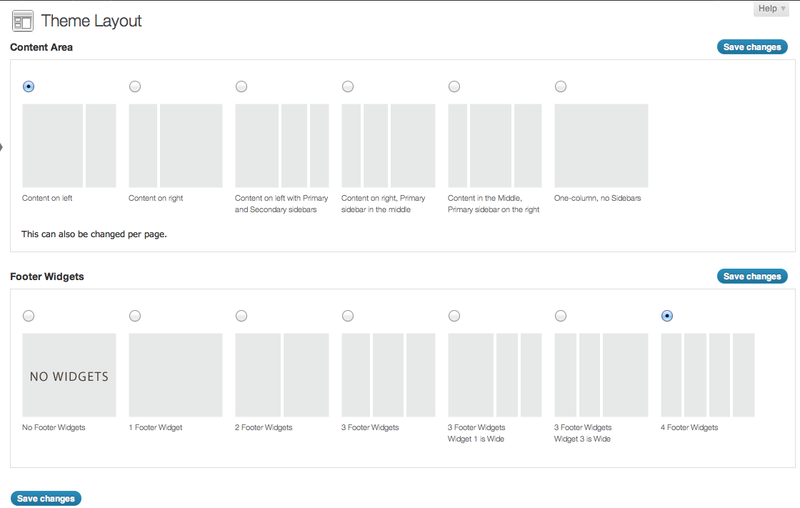 Anyone who has purchased a theme somewhere only to find out that it would take an act of God or the very least help from one of your nerdy…errr…technically gifted…friends to get it to do what you wanted it to do should appreciate the incredible simplicity of radio buttons to change their layout. And better yet, you can wait to call in that favor from your own personal tech support until you really need it. But what happens when you have some content that just can’t follow your global layout? Perhaps you have some graphics or other content that just doesn’t fit with the sidebar or maybe you need an extra sidebar for a particular page. 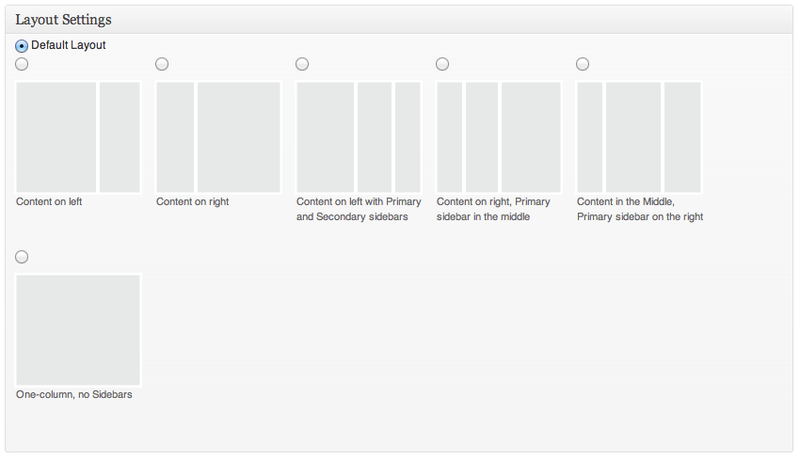 That’s no problem either because each page can specify its own layout independent of the global option. Pretty cool stuff! And of course what makes us happiest about this whole process is we didn’t have to dig around in the theme code to make these changes. And hey, it’s not like we’re lazy or we couldn’t write some code if we had to, but our TiVo might fill up and not record something important! There are just some risks not worth taking. We hope to delve into more of the cool features we like about ThemeBrewers themes over the next few weeks and we may even start tinkering with some of their other themes just to help us get familiar with, and test out, all the features. Besides, it’s always fun to redesign your blog, right? Especially if it can be done quickly. Let us know what you think in the comments and maybe even consider signing up for our newsletter. We will be testing out a new WordPress newsletter application in the next few months, but we promise not to spam you. 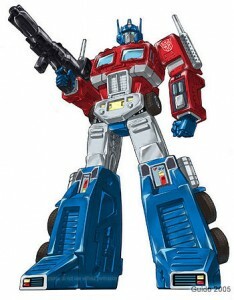 Optimus Prime would never allow it! These instructions can be used to securely and automatically rsync files between 2 computers (Linux or Mac) either on your local network or even across the Internet using certificates/keys instead of passwords. Syncing files between 2 computers without using passwords is really not as difficult as it may seem, trust me! The instructions below are combination of how-to guides I have found online and my own personal experience setting up syncing between computers. This guide is written from the perspective of using Ubuntu Linux, but the majority of the commands would be the same on any flavor of Linux or even Mac OS X.
Server B: This server is the connecting host (the one that will be sending files). 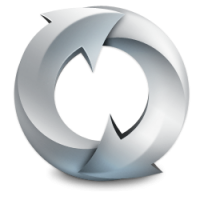 Automatically back up/rsync a folder from one Web server to the other every 10 min. securely but without passwords. **Hint: The last command in step 4 should list the authorized keys for that user. Run ssh@%user%@servera.domain.com command from Server B (connecting). If it doesn't ask for a password, it worked! Install rsync on source computer. Instructions below are for Ubuntu. Add rsync command. Be sure script is all on one line. The schedule above will run every 10 minutes. There are lots of great articles online for how to modify Cron tab schedules to meet your needs. Introducing ThemeBrewers and easy-to-use Espresso Framework that launched yesterday. ThemeBrewers is a new place to get premium and free WordPress themes all built on their new theme framework Espresso. Introducing ThemeBrewers and the easy-to-use Espresso Framework that launched yesterday. ThemeBrewers is a new place to get premium and free WordPress themes all built on their new theme framework Espresso. Custom built easy to use option are the foundation of the Espresso framework. Espresso is a parent theme and uses template parts to allow for easy customization of your child theme. With the grand opening of Themebrewers they are giving away a free pro membership. All you have to do is go to the following link and enter to win. Here are a few CSS3 Generators that you should definitely take a look at. I say this because in my opinion they cover the most ground when it comes to ease of use all in one place and browser support. These CSS3 Generators are great for border-radius, box-shadow, background gradient and opacity. There are a ton out there for all sorts of variables, but these hit the mark quickly when it comes to the more common effects you would like achieve on your website. The CSS3 PIE is especially great, for it’s quick easy set up and ability to satisfy IE 6-8. However, I’ve been advised that it can be quite the performance hog in IE. I researched it a little and came across this posting that gets into the details. Does anyone know if there is a way to improve performance using CSS3 PIE’s HTC in IE? Like many developers out there, I do my best to write clean and manageable code. Read on to find out three simple steps to make your WordPress themes better than ever. I make an effort to keep my code clean for two reasons, ease of use and maintainability. It’s far easier to fix bugs or make updates to the code if it’s clean. It will take much more time if six months or a year from now you need to re-examine your code to figure it out, rather than just fixing the issue. I also am a firm believer in the saying “if you’re going to do it, do it right the first time.” and by proxy “make it right”. Every developer sees some “bad code” at some point, sometimes they may have even written it. I feel it’s important to correct wrongs as you see them and improve your own code as you go. That’s no easy task, but WordPress makes it a little easier when it comes to theme development. Here’s three steps you can take to make your themes a little better than before. That last one is important. Anything custom that i’m building for the theme, such as a meta box or option page for the admin section of WordPress, would live in this folder. I used to put some front end PHP in there as well, but more on that later. 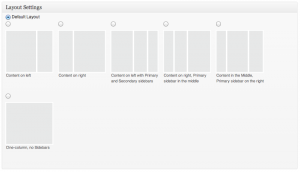 Step 3: Use WordPress Template Files! WordPress is built around themes and plugins, and it’s really easy to make your theme easy to manage if you use what has been given to you. The best example of this is the function get_template_part(). This function allows for you to split your template files into smaller more manageable blocks of code. For example, you can make a loop.php file that you can use in all of your template files and include it simply by calling get_template_part(“loop”). It’s just that easy! You can use this function to display any file you make in the main template directory, the possibilities are endless. That’s all there is to it. Check out the following links for more information. 1Password is one of the Apps on my Mac that I use the most. 1Password can create strong, unique passwords for you, remember them, and restore them, all directly in your web browser. It come bundled with extensions for all the major browsers. Recently I have started using Google Chrome for Mac more and more. I happened to discover a new feature that I had no idea existed and decided to do a quick post to share it. If you want to find a website login in 1Password you have to unlock it an then start searching for where you want to go. Until just recently I had no idea you could do something like this in Chrome, with Chrome it is actually even easier. 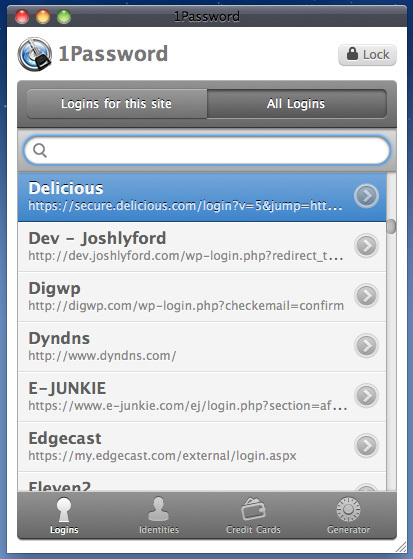 All you have to do is start to type 1password in the browser bar area. This will start the quick search for 1password right from their. You will have to unlock 1password before you can use this feature. It looks like this and is just awesome. If you don’t already use 1Password I highly recommend it. 1Password has certainly made my life easier, you can even sync it between multiple computers using DropBox. If you’re like me, then you’re probably trying to figure out how to install OS X Lion on your Mac. The first requirement is that you have an extra partition on your Mac. Follow the instructions below to add a new partition to your Mac on the fly without formatting anything. The one you will split is probably called “Macintosh HD”, as shown above, although there will be 3 entries if you have a single partition. Each disk will have a disk identifier. Mine is disk0s2. Split your disk and make sure you don’t set your boot disk to less than the minimum. This can be run as many times as you want until you run out of space. In other words, if you want 3 disks instead of two split the disk again using the disk identifier of the newly created disk. The command causes the second partition to use the rest of the space on the disk, so just make sure that you specify a number, 48GB, that is less than the total available disk space after the split. If you get an error like this then you should boot off your Mac’s startup disk, Open Disk Utility and click Repair Disk. Then re-run the command. You can even run it from terminal while booted off the install disc. 8. If you have access to Mac OS X Lion you can now use this partition to install it.